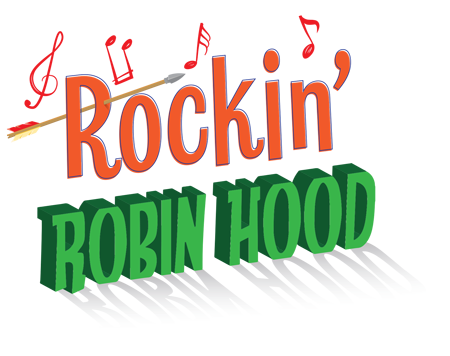 Nottingham rocks in this exciting take on the legend of Robin Hood — fresh yet traditional and loaded with female roles! Told as an origin story, we begin in a happier time when Nottingham is wealthy and prosperous. A young orphan Robin and his twin sister Hazel arrive with big hopes to open an archery shop, but immediately run into trouble. King Richard has recently left for the Crusades, so the rotten Sheriff of Nottingham and his avaricious fiancé, Lady Blackwood, seize the opportunity to tax the town blind. Robin quickly makes an enemy of the sheriff and eventually becomes a wanted man... an outlaw! Read more...By the time he escapes to Sherwood Forest, he’s met all his legendary friends — Friar Tuck, Little John, Marian, and more — and brought the team together to help return what is stolen from the poor and eventually bring the evil sheriff down. Loaded with action, chase scenes, prison breaks, and an archery tournament that’s simple to stage, you’ll especially love the awesome score by the award-winning Rockwell and Bogart. With a wealth of ensemble numbers, it blends medieval ditties into upbeat rhythms and tempos, perfectly capturing the timeless spirit of our outlaw hero!